What If Beef Bourguignon Sauce Does Not Thicken? Chilli with cheese in a bowl with a napkin and spoon. 1 Can You Use Flour to Thicken Chili? 4 What If Beef Bourguignon Sauce Does Not Thicken? The beauty of homemade chili is that you can make it any way you like. 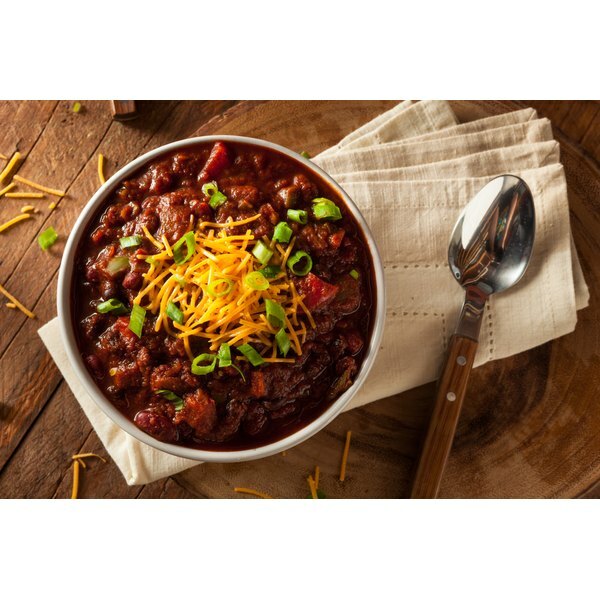 You can make your chili with a thin broth, like a soup, or whip it up Texas style with a thick broth that sticks to the ingredients. The secret to a thick, hearty broth is cornmeal. Cornmeal, when added to water and stirred into the chili, thickens the chili and gives it a slight flavor of corn, which blends pleasantly with the spices and beef. Pour 1/2 cup water in a bowl. Whisk in 2 tsp. cornmeal. When the cornmeal is integrated, the water will appear cloudy. Stir the cornmeal mixture into the chili. It will make the chili slightly cloudy when it is fully integrated; this is normal. Simmer the chili for 5 minutes. If the chili is still not adequately thickened, repeat the process of adding cornmeal and simmer for 5 more minutes. 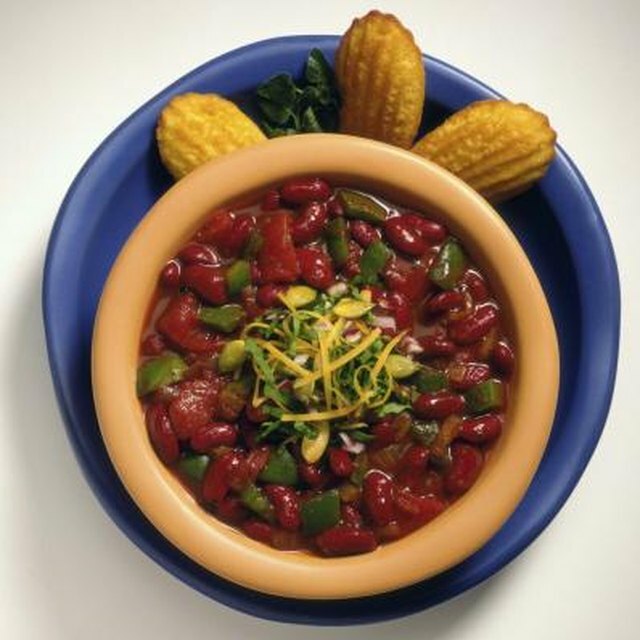 If you are making a large amount of chili, use 1/2 cup of water and 1/2 teaspoon cornmeal for every 8 cups of chili. Cornmeal makes the chili slightly gritty. If You don't like the texture, substitute masa harina, a thick corn flour used in tamales and in Texas-style chili. Only add as much cornmeal as you need to thicken the chili. Too much corn meal will change the flavor of the chili. Are Masa & Fine Cornmeal Used for Thickening?